Ah, what a delightfully bleak, humorously horrible, grotesquely sublime, slapstickishly nihilistic, transcendently claustrophobic, bracingly despairing, and entertainingly frustrating play Waiting for Godot is! It's perfect. 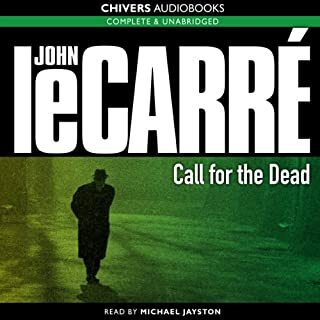 And I thoroughly enjoyed every minute of this audiobook version. 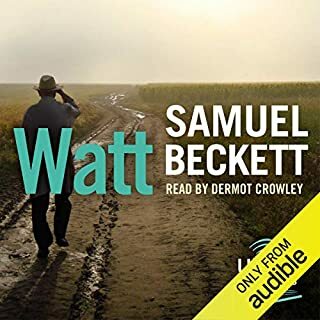 The British actors, Sean Barrett, David Burke, Terence Rigby, and Nigel Anthony, are excellent, bringing Beckett's text and characters alive with wit, heart, and perfect timing. The two friends Estragon and Vladimir are an appealing pair of morosely and stubbornly heroic fools: ever waiting in the wasteland for the never appearing Godot, ever complaining about and attempting to understand their situation, never mustering the courage to escape it, repeatedly forgetting their past, playing off each other's words like suicidal comedians, sometimes arguing, and often treating each other with moving affection. There is something strangely comforting about their never-ending failures. As if an adult Charlie Brown were living with Eeyore instead of Snoopy. Pozzo and Lucky, the foil-pair of Estragon and Vladimir, are morbidly fascinating in their abusive master-slave relationship. 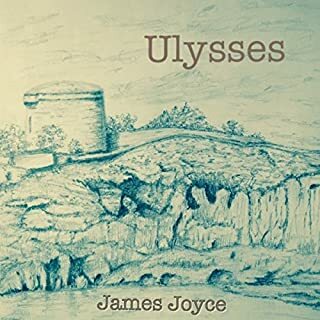 Here are a few of the many great moments in the audiobook: when Lucky "thinks," when Estragon and Vladimir pass their hats and Lucky's back and forth between them, when the boy angel delivers his messages (that Godot will surely come tomorrow! 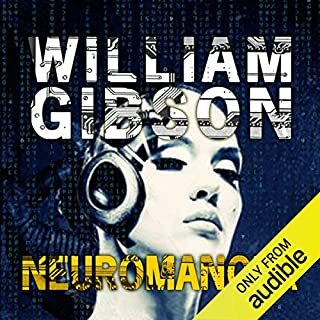 ), when Estragon and Vladimir "abuse" each other and then make up, when Estragon and Vladimir debate helping Pozzo up, and when Pozzo makes his woeful speech, "They give birth astride of a grave, the light gleams an instant, then it's night once more." Waiting for Godot (like any play), of course, is a visual work of art best experienced performed live on stage. 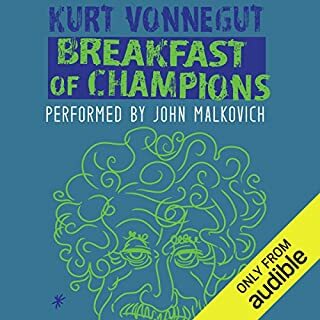 However, if you are unable to see it like that, listening to this audiobook would be the next best thing, and a wonderful experience in itself. 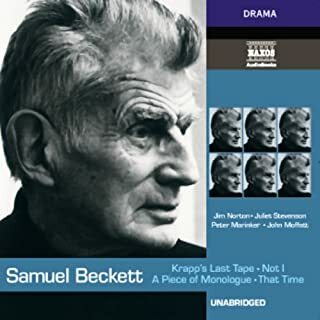 This is a very creditible performance of a must-listen play, with the humor and tragedy and what I can only call the surealistic realism of Beckett at his best. This reading is great for return readers, but first-timers may be confused by the omission of some of the stage direction. Helps to have the play in front of you. I know no other play to be better than this. I enjoyed reading it so much in high school, that I jumped at the occasion to take it with me wherever I go. This tragicomedy is a must for every person, everywhere! Maybe I am just a philistine but just to listen to this play; I haven't read it or watched it yet. But just to listen to this play didn't really spellbound me. It was a little tedious to wait w/ the characters, well voiced as they were. This just didn't do it for me. I think this would be better to see performed rather than listened to. I found the noises that the performers made very distracting and annoying. I ended up returning the book. Theatre friends of mine have always raved about Godot and I finally got around to listening. Yes, there are humorous moments and it has the “Who’s on First” + “Groundhog Day” aspect to it, but by and large I found it less than thrilling. The actors are pros but with nicknames and similar voices it was a bit hard to follow. I love absurdity, this short play read was amazing. it was confusing enough to keep me interested but not enough to knock me away. It’s ridiculous that it’s taken me this long to go through Godot. Maybe I’ve been waiting for him, too, all these years. I loved it. The comedy and pathos prove that Beckett deserves the acclaim. Too, its immutable timelessness provides succor at these bizarre times we live in. I bought this for the simple reason that I needed to read it for one of my classes. I find reading plays dull and unenjoyable, so I figured this would be a better option. Although I haven't finished it yet, I am extremely impressed by the narration. I feel like I am watching a play! 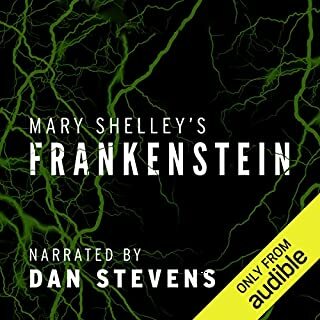 Audible is my new favorite app. If you could sum up Waiting for Godot in three words, what would they be? It's a tough choice, but I have to go with Vladimir. Sean Barrett's performance was exceptional, and of all the characters in the play I found Vladimir to be the most complex and interesting. He's both capable of fits of near rage and moments of gentle tenderness towards others. I felt he was also the one who understood his situation most, hense his despair at the end of the play. That never fails to break my heart. I love the back and forth chatter between Vladimir and estragon, but my absolute favourite scene is the one where they stage an argument with each other and then stage a makeup. Estragon's line 'Crritic!' and Vladimir's hurt reaction to it is my favourite in the entire play and the way the scene is delivered here is, in my mind, exactly how it should be. It needs to be. It's a play, so it's not meant to be divided up into several sittings. This is by far the best edition of Waiting for Godot I have heard, and adapting it for a purely audio setting must not have been easy. It's even better than the 2001 film.The actors stick almost exclusively to Beckett's original text, with a few small changes made to offset the fact that you can't see what the characters are doing. The only scene where I had any complaint was during Lucky's speech. There are stage directions that go with it, to show how the characters react, but obviously this wasn't doable, and it does detract a little. This play was so beautifully done and each actor played their part flawlessly. 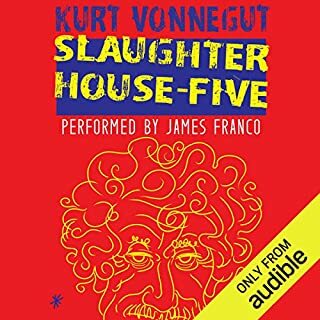 I wish I had been able to hear it when I was studying this for drama in highschool. I would have gained a much greater understanding of Beckett's work. It is hard to review Waiting for Godot as it is the most bizarre, utterly absurd title I have listened to. Ever since we read abstract of it in the school all those years ago, I wanted to read the whole thing but never got around to actually doing it. 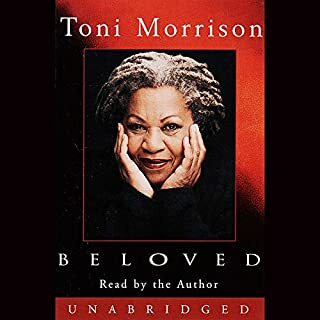 Audiobook seemed like the perfect scenario to finally getting to know why is this piece of art held in high esteem by many. After listening to the first 10 minutes, I was totally ready to turn it off, ask for refund and forget about it. It was disorienting and nothing made sense. However I kept on listening just for sake of it. After another 10 minutes however, I did not need to force myself anymore because I was completely hooked and I did not understand why. As the story progresses It is not making any more sense but confusing you more and more. You have literally no idea what is actually going on, but somewhat it makes you feel that you just cant stop listening and want more. Ending does not help at all, it does not tie anything up. After I was done with it, I have started to reflect on what I just heard and then it all clicked. The genius of this title is that it is intentionally written in the way of confusing you and making you go mad. For example, author throws in this "bones" of moments when it seems that the story shows some progress and starts to make some sense, only to confuse you even more and screw anything you thought you understand a moment later. It is a trap. There is no "making sense of it" here, because everything makes sense and nothing makes sense at the same time. That is the best way I can describe this book. Performance wise It is sometimes hit and miss. It is made like staged play so you hear characters make noises which represents what are they doing at the moment. The narrators are something trying too hard to making too dramatic which sometimes makes it hard to understand them through all those noises. Overall, I highly recommend this absurdity, go in with open mind and enjoy it. An admirable demonstration of how to transfer a stage play to audio only. The performances show the way that familiarity is the basis for friendship and cruelty, the importance of companionship which is more than enforced proximity. Occasionally the main two actors hit the wrong notes but this version was well-produced and would serve as a fine introduction to the text. 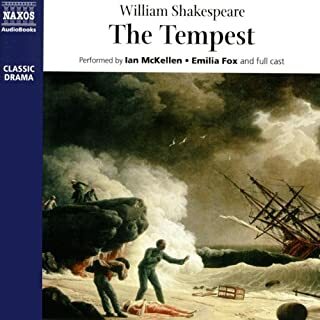 I am in the process of listening to this over and over again as I will shortly be playing Vladimir in a local production and am using this as an 'aide-memoire'. This particular production works well and is eminently listenable. 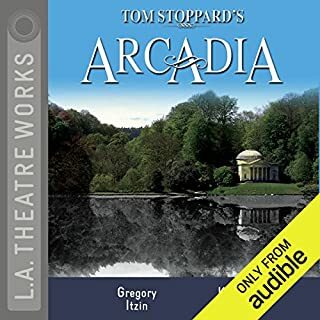 If I have one criticism it is that the character voices of Vladimir and Estragon in this production are crudely similar which, with no visual clues to guide, can lead to occasional confusion as to who is who though, in the context of the play, this is hardly important! It's brilliance is well known, it's subjects deep and absurd. The performance is great and subtle, it's waiting for Godot. Can't abide dramatisations of books! all the characterisation was highly distracting I had hoped to get the point of the story but just turned off.